Kelly, George A. (1905-1967), American psychologist. Kelly developed a theory of personality known as personal construct psychology, whose focus is on the distinctive ways in which individuals construct and reconstruct the meanings of their lives. Because of the breadth of Kelly’s approach, personal construct concepts and methods have been used to study such topics as cognitive complexity, psychological disturbance, the development and breakdown of close relationships, vocational decision making, education, and organizational behavior. However, in keeping with Kelly’s original focus on psychotherapy, his thinking has had its greatest impact in the areas of clinical and counseling psychology. Kelly was born to strictly religious parents in the tiny farming community of Perth, Kansas. As an only child whose family was literally among the last homesteaders of the American frontier, Kelly developed a first-hand appreciation for the struggles of the impoverished and isolated rural families he was later to serve as a psychologist. The family’s frequent moves and Kelly’s own patchwork education of home schooling and short-lived enrollments in a succession of schools might also have deepened his understanding of the struggle to construct meaningful “role relationships” with others, a theme he was later to weave into his theory of personality. After three years of study at Friends University (a Quaker institution) and a final year at Park College, Kelly graduated with a degree in physics and mathematics. However, balancing this scientific involvement, he also had become highly involved in intercollegiate debate, and developed a reputation as a winning orator. Kelly’s graduate work was as varied as his earlier schooling, leading him to study at the Universities of Kansas, Minnesota, and Edinburgh (Scotland) before graduating with a Ph.D. in psychology from the University of Iowa in 1931. In retrospect, Kelly’s later logical, propositional framing of the psychology of personal constructs, his use of dramaturgical procedures in therapy, and his iconoclastic intellectual style can be viewed as outgrowths of this diverse educational background. When Kelly entered the job market, America was in the midst of the Great Depression, and mid-west farming states were reeling under the impact of the Dust Bowl, a massive drought that resulted in not only the foreclosure of innumerable family farms, but also the economic devastation of whole communities. Accepting a faculty appointment at Fort Hays Kansas State College in such inauspicious times, Kelly’s attention was soon diverted from his original interest in experimental psychology to matters of more practical concern. Under some pressure from his department chair to develop an area of specialization, Kelly opened the Psychology Clinic, and began to offer free assessment and consultation services to children and adolescents. These services quickly grew to include a program of traveling extension clinics, in which Kelly, accompanied by a handful of carefully selected and meticulously trained students, would provide diagnostic formulations and treatment recommendations for students in most of the school systems in western Kansas. In the 1930s psychological services in American schools were rudimentary at best, and Kelly’s pioneering work in rural mental health was sufficiently novel that it was funded directly by an act of the state legislature. Kelly was dislodged from his position at Fort Hays by the outbreak of World War II, accepting a post in the aviation psychology branch of the U.S. Navy for the duration of the conflict. Following the war, he taught briefly at the University of Maryland before being hired to direct the clinical psychology program at the Ohio State University, where he was to make his most important theoretical contributions. Drawing on his longstanding fascination with Korzybski’s general semantics and Moreno’s psychodrama, Kelly began to fashion a unique perspective that grounded human attempts at meaning making firmly in the social realm. The results were published in his 1200 page magnum opus, "The Psychology of Personal Constructs" (1955, reprinted 1991). At the heart of Kelly’s theory was an image of persons as incipient scientists , constructing, testing, revising, and expanding personal theories of self and world that enabled them to anticipate the recurring themes of their lives. This basic position was amplified through 11 corollaries detailing the process of construing, the structure of personal construct systems, and the social embededness of human knowing. Moreover, critical aspects of the theory were operationalized in repertory grid technique, a mathematical method for mapping personal construct systems relevant to a broad range of applications. Both the theory and its associated methods were enlisted to provide novel means of conceptualizing, assessing, and treating psychological difficulties, defined as various ways in which one’s constructions failed to provide a meaningful framework for anticipating events or articulating with the perspectives of others. While iconoclastic in the context of an American psychological scene dominated by behaviorism, Kelly’s theory was nonetheless recognized as a bold departure, and international recognition followed. 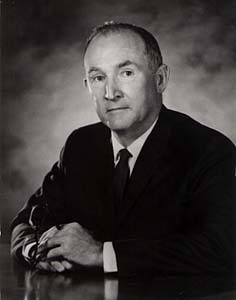 As a consequence of both his theoretical contributions and his tireless promotion of the profession of clinical psychology, Kelly was elected to the presidencies of both the consulting and clinical divisions of the American Psychological Association in 1954-1955 and 1956-1957, respectively. He died suddenly in March of 1967, after moving to Brandeis University at the invitation of Abraham Maslow. Ironically, perhaps, the influence of Kelly’s theorizing has grown rather than diminished since his death. Beginning in 1975, a series of biennial International Congresses on Personal Construct Psychology have been organized in the United States, Canada, the United Kingdom, the Netherlands, Italy, Spain, Germany, and Australia, with regional conferences serving to support the growing interest in the theory on alternate years. Moreover, the dozens of books and thousands of journal articles issuing from the theory were augmented by the publication of the International Journal of Personal Construct Psychology in 1988, which broadened its title and coverage to the Journal of Constructivist Psychology (Philadelphia, PA: Taylor and Francis) in 1994. In 2004. the online journal Personal Construct Theory & Practice was founded. As a result, personal construct psychology can now be considered a viable specialty with a diverse international following, which is both an historical forerunner and vital participant in the burgeoning field of constructivist psychology.